MPMKVVCL Apprentice Recruitment 2018 Notification issued by Madhya Pradesh Madhya Kshetra Vidyut Vitaran Company Limited on its offical portal i.e, www.mpcz.co.in. See MPMKVVCL Vacancy 2018 details. Willing candidates can check the Eligibility criteria for MPMKVVCL Trade Apprentice Jobs 2018 on or before the due date i.e, 31/10/2018. Other details of MPMKVVCL Recruitment 2018 Notification such as No. of Vacancies, Age Limit, Educational Qualification, How to Apply, etc. Get the full details of MPMKVVCL Apprentice Recruitment 2018 Notification like Age Limit, Qualification, Application fee, Selection Process, How to Apply, etc. Candidates should have passed ITI in the relevant trade from a recognized university are eligible to apply for MPMKVVCL Trade Apprentice Jobs 2018. See the official MPMKVVCL Recruitment 2018 Notification Pdf. Name of the Recruitment Authority Madhya Pradesh Madhya Kshetra Vidyut Vitaran Company Limited (MPMKVVCL). Name of the Designation Junior Engineer (D) and Testing Assistant Posts. Total Number of Vacancies 160 Jobs. Release Date of Advertisement 8th June 2018. Starting Date to Apply Online for Junior Engineer Posts 15th June 2018. Initial Date to Apply Online for Testing Assistant Posts 13th June 2018. Last Date to fill MPMKVVCL Junior Engineer Online Application Form 14th July 2018. Final Date to fill MPMKVVCL Testing Assistant Online Form 12th July 2018. MPMKVVCL Exam Date Notify Later. In addition, the starting date to apply for MPMKVVCL Junior Engineer Vacancy 2018 is from 15th June 2018 and the last date is 14th July 2018. Therefore, MPMKVVCL JE Recruitment 2018 is having a total number of 160 job vacancies. In conclusion, MPMKVVCL Recruitment 2018 Apply Online link for Testing Assistant Posts will be in the state of activation from 13th June 2018 to 12th July 2018. Furthermore, willing contenders can check the eligibility and other essential information in the following sections or on MPMKVVCL Official Website. Candidates must have successfully finished Diploma in Electrical or Electronics sector from an approved institution or University. Aspirants should have completed 10th Class Examinations and ITI in the relevant trade from a recognized University. Maximum Age Limit for Male (MP Domicile) – 40 Years. Upper Age Limit for Female, OBC, SC, ST (MP Domicile) – 45 Years. Maximum Age Requirement for Junior Engineer (D) Posts (Non-MP Domicile) – 25 Years. 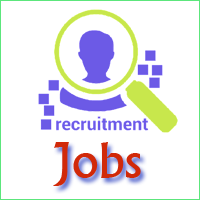 There are Junior Engineer (D) and Testing Assistant vacant posts issued by the officials of Madhya Pradesh Madhya Kshetra Vidyut Vitaran Company Limited (MPMKVVCL). Therefore, individuals can check the below departments and apply through online mode before the last date. For Junior Engineer (D) Posts – Rs. 32,800 /- (Initial Pay). For Testing Assistant Posts – Rs. 25,300 /- (Initial Pay). How to Apply for MPMKVVCL Junior Engineer Recruitment 2018? Applicants should go through the process of filling an application form mentioned below. However, candidates should apply for MPMKVVCL Junior Engineer Jobs on or before 14th July 2018 and for MPMKVVCL Testing Assistant Vacancy 2018 before 12th July 2018. On the home page, in the Latest Announcement section, search for the advertisement of MPMKVVCL Recruitment Notification 2018. 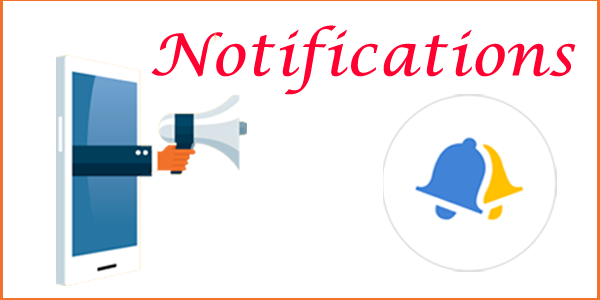 Download MPMKVVCL Notification 2018 for Junior Engineer (D) and Testing Assistant Post and read all the rules and regulations. Check your eligibility for MPMKVVCL Recruitment 2018 and if eligible click on MPMKVVCL Online Apply link given below or on official portal. When MPMKVVCL Online Application Form is opened, enter all the details and upload photo, signature, and documents. Furthermore, pay the desired amount of application fees based on your category through an online channel. Now, click on Submit button after re-verifying all the details. Finally, take a printout of the filled MPMKVVCL Application Form for further reference. Initial Date to Apply Online for Junior Engineer Posts 15th June 2018. Starting Date to Apply Online for Testing Assistant Posts 13th June 2018. End Date to fill MPMKVVCL Junior Engineer Online Application Form 14th July 2018. Last Date to fill MPMKVVCL Testing Assistant Online Form 12th July 2018. I hope the overall information which is given in the above sections about MPMKVVCL Recruitment 2018 Notification is beneficial to all the applicants. However, if you face any queries or in order to grab detailed info, you can refer to MPMKVVCL Notification 2018 which is available on the link offered below. In conclusion, you can also download the same from MPMKVVCL Official Website. However, for more live job updates, stay connected to Rojghar Samachar and also view information about Previous Papers, Admit Card, and Syllabus.